Winx is on her way to the spelling paddock after a history-making spring campaign. As momentum builds to Australia’s most famous race, the country’s most famous horse has slipped quietly out of town headed for a rural holiday. 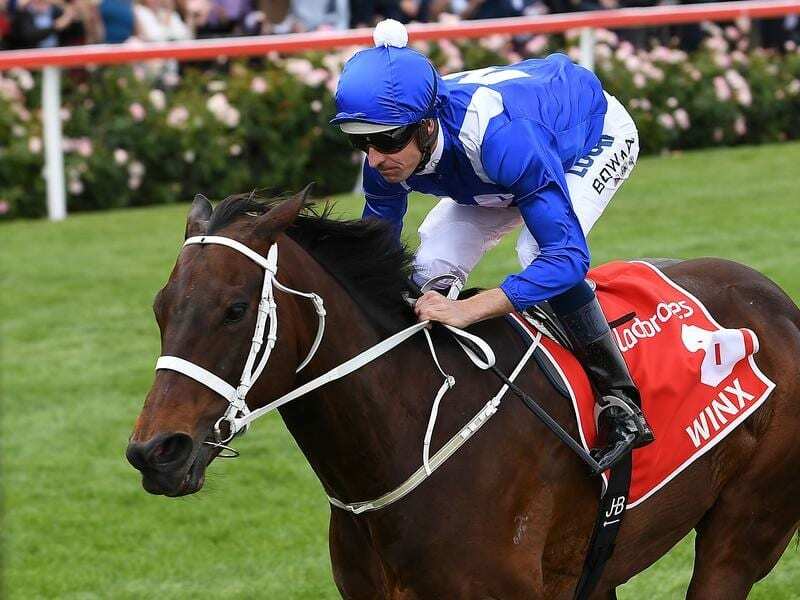 Winx left Melbourne on Monday bound for a rural retreat on the southwest outskirts of Sydney after winning her fourth Cox Plate nine days earlier. The mare has not been beaten since April 2015 and whether she returns in the autumn has yet to be decided, but her spring campaign is certain to mean she becomes the first four-time winner of the Australian Horse of the Year title. Her trainer Chris Waller will now concentrate on his three runners in Tuesday’s Melbourne Cup with veteran Who Shot The Barman, Queensland Oaks winner Youngstar and European import Finche to represent the stable. Who Shot Thebarman ran third in 2014, Waller’s best result yet in the Cup in which his first runner, Kelinni, ran fourth two years earlier. Now a 10-year-old, Who Shot Thebarman will be running in his fourth Melbourne Cup after missing the race last year with a temperature. Age doesn’t seem to be a problem with the gelding winning the Sydney Cup, Australia’s only other Grouop One race over 3200m, earlier this year. Greg Carpenter, the man who handicaps the Cup field, is on record as saying if Winx was in the Cup, she would be carrying in excess of 60kg. The topweight on Tuesday is Caulfield Cup winner Best Solution who has 57.5kg in his bid to give Godolphin and trainer Saeed bin Suroor a first win.